DKSH, the leading Market Expansion Services provider with a focus on Asia, has partnered with FGX, an Essilor International subsidiary, to market and distribute the company’s range of vision care solutions. Singapore, January 17, 2019 – DKSH Business Unit Healthcare, Asia’s leading partner for healthcare companies seeking to grow their business in Asia, has entered a partnership with FGX, an Essilor International subsidiary and a world leader in corrective lenses, driven by innovation for over 160 years. Headquartered in France, the company is a designer and manufacturer of vision care solutions to target different vision needs from correcting eyesight to protecting eyes from harm and discomfort. Products include sunglasses, prescription frames to non-prescription optical solutions, and are distributed in more than 100 countries. 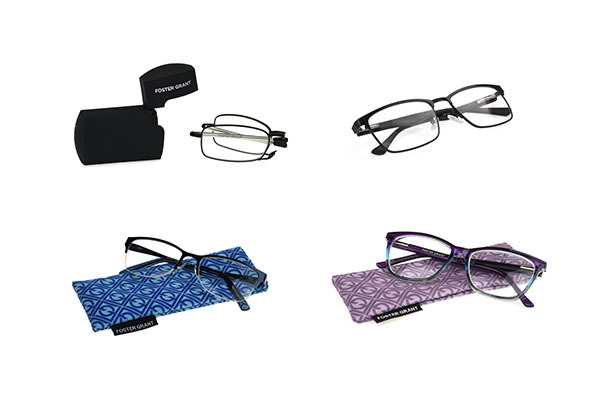 FGX is the division of Essilor producing popular-priced eyewear, focusing on modern trade distribution. The company designs and sources over 125 million pairs of eyewear annually, with annual revenue approaching USD 500 million. DKSH will manage marketing and merchandising as well as warehousing and distribution of FGX’s range of products to chain pharmacies in Singapore. Flagship brands include Foster Grant, Sight Station, Magnivision, Gargoyles, Corinne McCormack and SolarShield. Through this partnership, FGX can tap into DKSH’s shared sales force and logistics solutions to achieve cost efficiencies, increase its presence and build brand equity in Singapore. FGX International, an Essilor company, is the world’s leading designer and marketer of non-prescription reading glasses and sunglasses with a portfolio of established, highly recognized eyewear brands including Foster Grant®, Sight Station®, Magnivision®, Gargoyles®, Corinne McCormack®, and SolarShield®. FGXI also holds licenses for brands such as Ironman®, Body Glove®, Disney®, Reebok®, Nine West® and Panama Jack®. Based in Smithfield, Rhode Island, USA, FGX International has additional global locations such as: New York City; San Luis Obispo, CA; Toronto; Vancouver, Canada; Stoke-on-Trent, England; Mexico City; Milan, Italy and Shenzhen, China.